Today's QOTD brought out an odd revelation for me - how much do we Jalops really know about who was the "first" to do something? Is it possible for some of these true innovators to hae slipped through the cracks and be forgotten while the big boys take their ideas and win with them, thus getting all the glory and credit? Unsurprisingly, yes there are. The world of motorsports is dominated by the headlines but we often forget that if you look beyond the podium, the underdogs with big dreams and small budgets are the ones doing the true innovation. They're the ones schemeing for that one "trick", an unsuspecting "edge" that means their under-funded shedmobile can topple someone spending 10 times as much on the world's stage. Today's article has not one, but two such cars - the Lola/Caterpillar and the Panoz Q9. Okay let's get one thing straight - neither of these cars were good. In fact, both failed. Often. The Lola had a VW V10 diesel, further tuned (and other bits of the powertrain) by the heavy equipment company Caterpillar. Turns out their gearbox was not up to the abuse and never lasted more than an hour or two. The panoz Q9 used a hideously complicated hybrid system back when F1 was all V10s. KERS wasn't even a pipe dream. Hell, the PRIUS hadn't made a splash yet and here was Panoz running a front engined batmobile with a hybrid system. It was just too complicated for that cutthroat period where prototype cars were passed off as "road going GT cars". In a bit more detail, let's start with the Panoz Q9. We're all familiar with the Panoz Esperante GTR-1.......Wait......you're not? Well let me put it this way, it was nicknamed the batmobile, it was powered by a ford V8, and was a front engined, rear wheel drive prototype car that competed (and WON) in the fastest categories of endurance racing from 1997 to 1999. It won the IMSA GT class in 1998 and the united states road racing championship that year too. 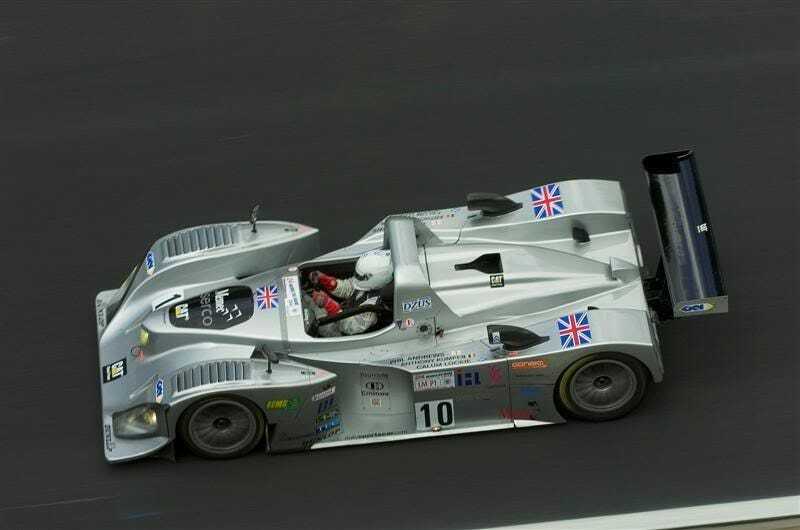 But in secret, Panoz had developed a hybrid system with the help of Zytek. Zytek designed a regenerative braking system using the electric motor that would work as a low-speed power assist for the thirsty V8. The thinking was the electric motor would assist the gas motor at low revs to help move the car when the engine wasn't in the powerband. The engine could then use its fuel just in the high revs where it made the oomph and this would result in less fuel used overall. Neither of these cars had any degree of success. And more importantly, no one knew their ideas would be critical to the future of sports car racing at the time. The Q9 came out in 1998. The R18 e-tron won LeMans in what, 2013? No one else saw that 15 years later, a hybrid would win LeMans. And the Lola is even more tragic - 2004 saw only the one lola as the sole diesel powered entry. A Nasamax car ran bioethanol but ethanol itself was used as a fuel in racing for a while so......meh. But two years later? 2006 saw the debut of the R10 TDI. Audi took a look at the lola and saw the possible advantages of the diesel for their new chassis. They stuck it out and did it. In both cases, there are a bunch of "If only....." statements. If only the Panoz was mid engined to balance out the added weight. If only the lola had been developed a year earlier and had another year to run before Audi came in. If only caterpillar had helped develop the transmission too. If only anoz and Zyrtek had developed a hybrid system for the esperante. If only the Q9 powertrain was used on their LMP cars later on.....But that's racing. They never got the checkered flags so here they sit - in the corners of history gathering dust, only occasionally getting pulled back out by people like me to reminisce and study over. Why should I remember them? ......To be honest, you shouldn't. I can't think of a single important reason for either of these cars outside of being innovative and different. Perhaps that's it. Maybe you should remember these cars because they're some of the few people who genuinely saw something different. Nowadays, diesels and hybrids are the norm. But for these small teams? They were in uncharted territory and they had maybe 1/10th of the budget that Audi could swing around at these ideas. and yet they did it anyways. That takes courage. The type of courage that shakes things up. It didn't turn out for these little guys. But who knows what the future holds? I'll close with this. The Q9? The Lola/Cat? All of today's WEC hybrid/diesel racers owe a small nod of respect to Panoz and Taurus Racing for doing it their own way over a decade before.